I think a lot of us find January a bit of a 'meh' month. Christmas and New Year came and went and the cold weather isn't so festive any more. BUT I bet you have a really big stock of toiletries now! We all know it...you can't beat a pamper evening with some gorgeous smellies and the obligatory candle burning in the background! I absolutely adore Lush but I do find it a tad pricey at times! 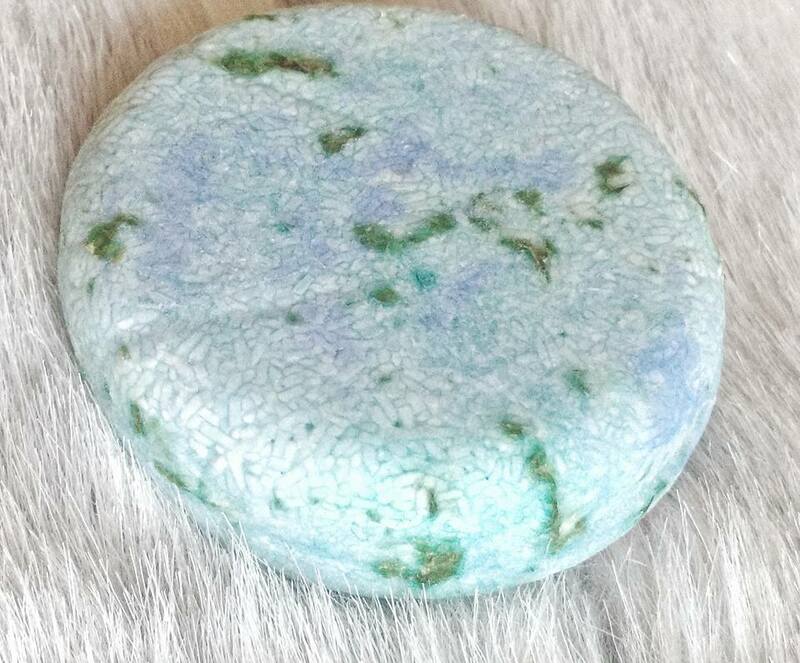 I was very lucky to get this shampoo bar as a Christmas present. It claims to last around 80 washes...which suddenly makes the higher price seem like a bargain...and I'd say at the rate I'm using it, that's probably about right. It has been a godsend for my flat hair as it dries it out a bit which helps lift it at the roots! It also has a gorgeous fresh smell and leaves your hair looking shiny which one of my housemates even commented on. Another plus is its portable size! Absolutely perfect for popping in your toiletry bag and as it's solid, you can even have it in hand luggage! Another Lush gift I received at Christmas! I love to use face masks once or twice a week to nourish my skin and this one ticks all the boxes for me. 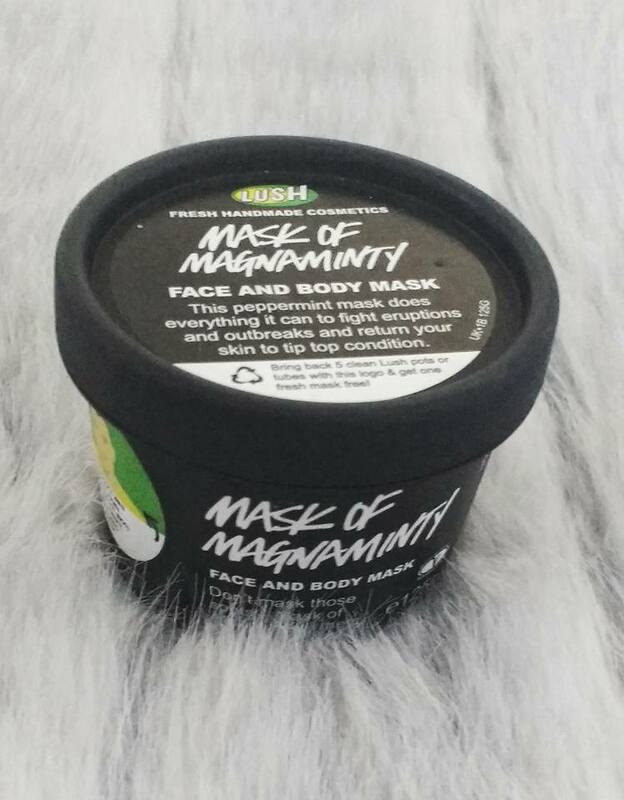 It has a minty refreshing smell and contains lots of gentle ingredients like honey which leave your skin feeling fresh and glowing afterwards. I definitely prefer thick textured masks to peel-off ones and Lush has never disappointed with their face masks. When I first opened this to smell it I just kept on inhaling it in like I had some kind of problem! I am obsessed with its unique smell. It is sweet yet sort of aftershavey and its fragrant really clings to your skin after a shower leaving you smelling lovely all day! If you're going to pick a Molton Brown shower gel, make it this one! I promise you will have zero regrets. 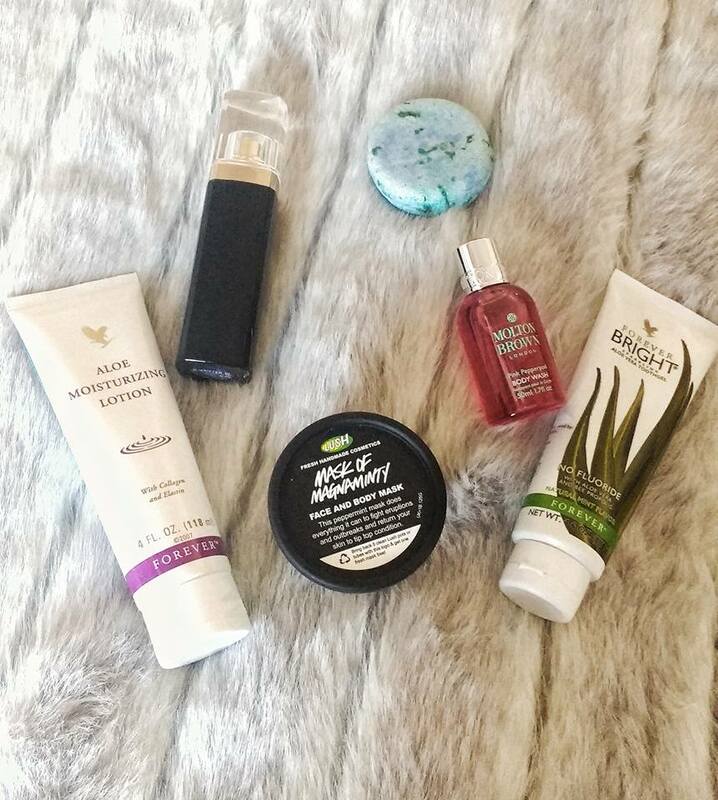 I have really enjoyed sampling some of the Forever Living products I was recently sent but I have to say, this was surprisingly one of my favourites! I was sceptical as there are a lot of dental products out there that claim to give you that perfect Hollywood smile but I genuinely believe this has made my teeth shinier! My boyfriend borrowed some and commented on it himself! 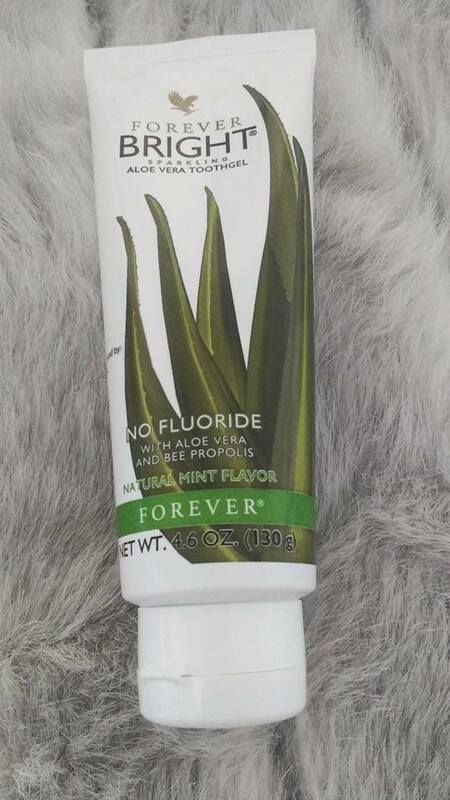 I love the packaging and it's definitely a lot bigger than your average toothpaste tube. Drink water, remove your make up and moisturise - the key things to do for healthy skin. 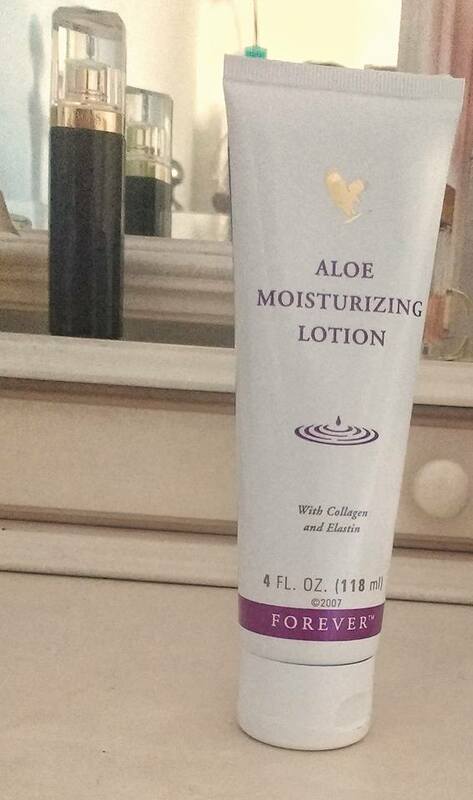 I am always changing between moisturisers but for the last month, I have stuck to this one by Forever Living. It is quickly absorbed and has kept that dry skin we all experience at some time over the winter months, at bay. I also find it makes a great primer if you use a smaller amount. Again, I love the smart packaging! All of their skincare range looks like this but in different colours, so they looks very organised lined up on my dressing table. I think we all like to be that person that has their own unique scent so I am always looking for perfumes that nobody else has. 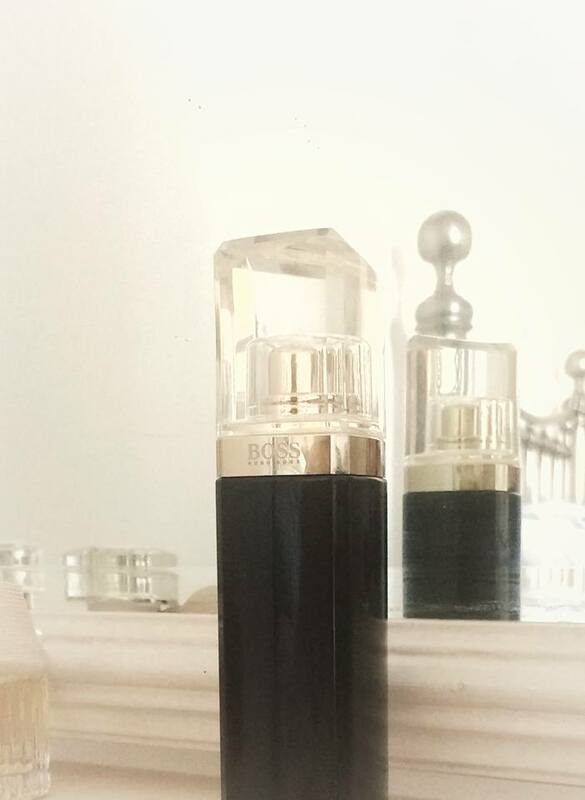 I was drawn to the sophisticated look of this perfume bottle and with its black colouring, I thought it would be really strong but it actually has a very delicate sweet floral smell! It is my current 'go to' every day scent! I haven't written about anything beauty-related in a while as food seems to have been the biggest thing in my life recently!!! Yess - even post-Christmas!